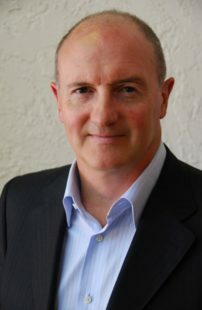 Chris Bowers - Principal Consultant | Jack B. Keenan Inc.
Chris Bowers has more than 20 years experience in the high tech sector as an executive, consultant, and entrepreneur. His primary focus has been on business development and sales where he has a track record of delivering results. In his consulting career, he has developed extensive knowledge of how to set up sales and service organizations that deliver value to the customer and translate that value into profit for the organization. Chris is energized by identifying and quantifying value from a customer’s perspective. He uses these insights to formulate a strategy which translates into a set of business processes, an organization design, and a template for talent. This tried and trusted process has underpinned organization success in delivering on the customer promise cost effectively. Currently, Chris is CEO of Green EnviroTech Corp. an early stage company focused on using technology to develop solutions to environmental challenges in waste, energy, water, and food. He is also Chairman of the Cancer Council at Stanford School of Medicine and an Advisory Board Director at The Miller Center for Social Entrepreneurship and at the Santa Clara University Business School. From 2008 – 2012, Chris was an Officer at Applied Materials where he was Chief of Staff; led a portfolio of corporate functions; and was instrumental in the integration of acquisitions. As a Partner at Hay Group, Chris served as Head of Business Development for Europe, Middle East and Africa (EMEA) and was a member of the Global R&D Council. He worked with CEOs of global corporations on strategy and transformation challenges. His signature client was Philips Electronics where he worked with the CEO for 6 years; and with the Executive Vice Presidents on business development/sales strategy and organizational challenges. He founded and led the fast growth of the Hay Group Middle East office. Chris has an MBA from Warwick Business School, UK.